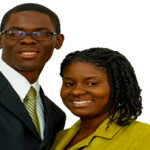 Marlon and Otencia Robinson are best friends and co-presenters from Jamaica. Marlon Robinson, MDiv, and Otencia Robinson, M.S., are passionate about family ministry. They are the founders of Family on Point, which is a family enrichment initiative. The motto of their ministry is “promoting and nurturing holistic individuals and relationships.” They write from Texas.